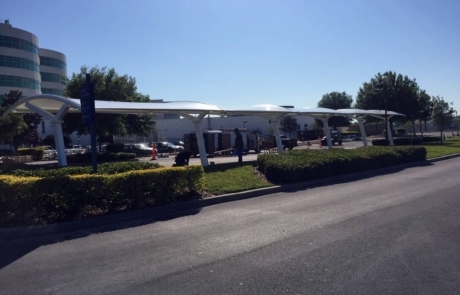 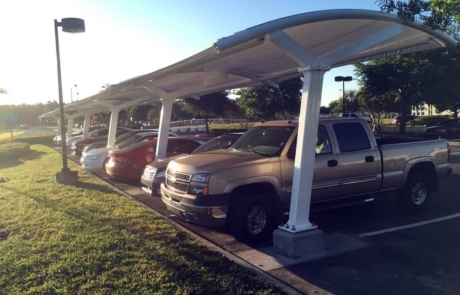 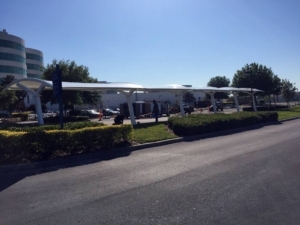 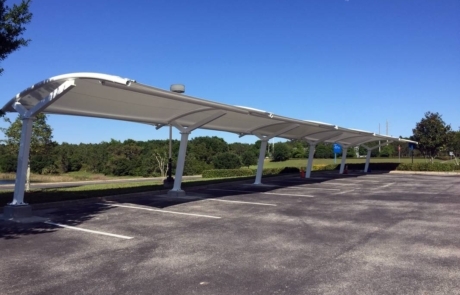 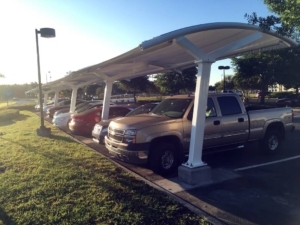 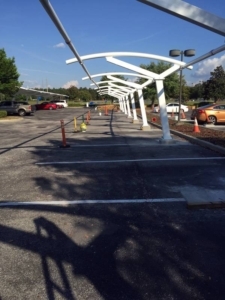 The Florida Hospital Waterman campus wanted to add a functional yet eye catching shade solution for their doctor’s parking area in the rear of the building. They wanted this shading solution to compliment the dramatic shade sails that carry throughout the hospital’s architecture. 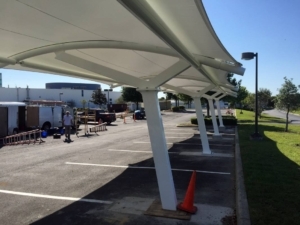 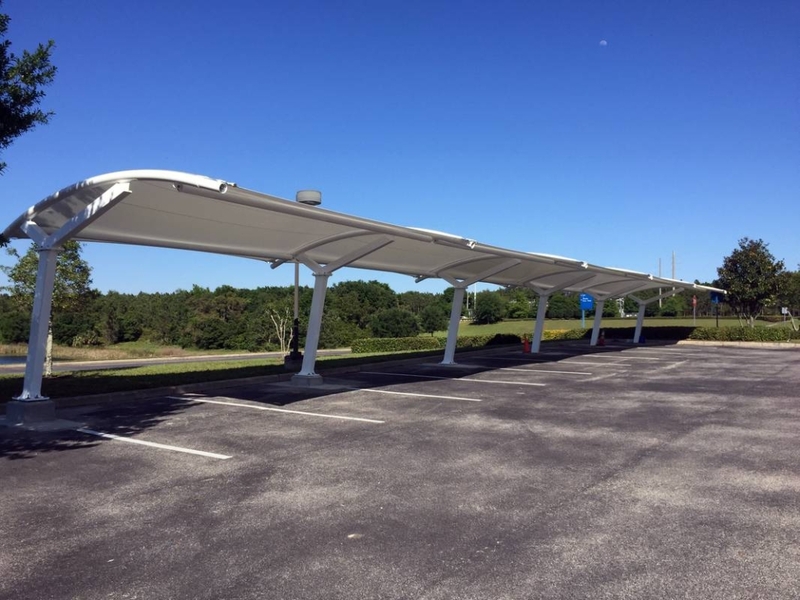 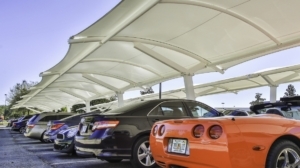 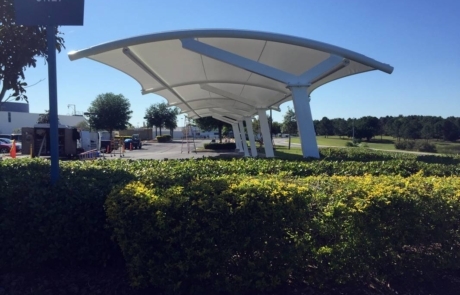 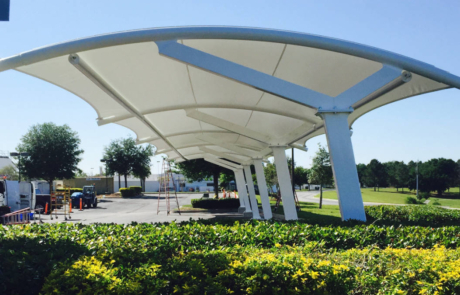 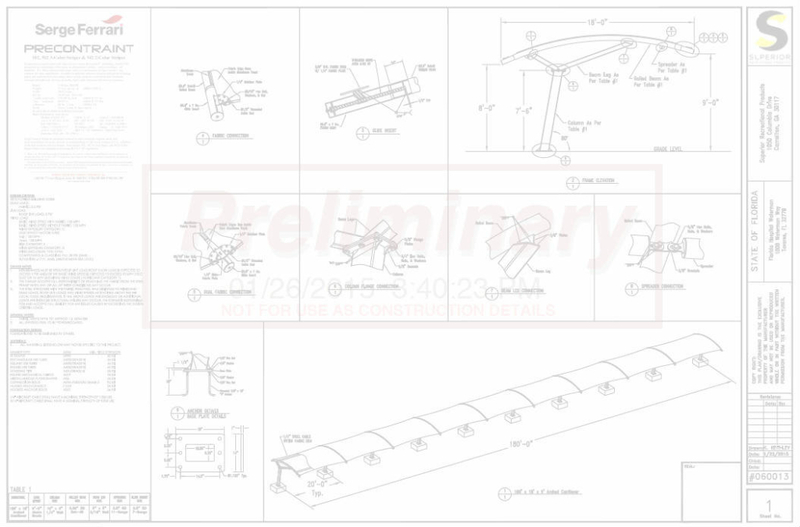 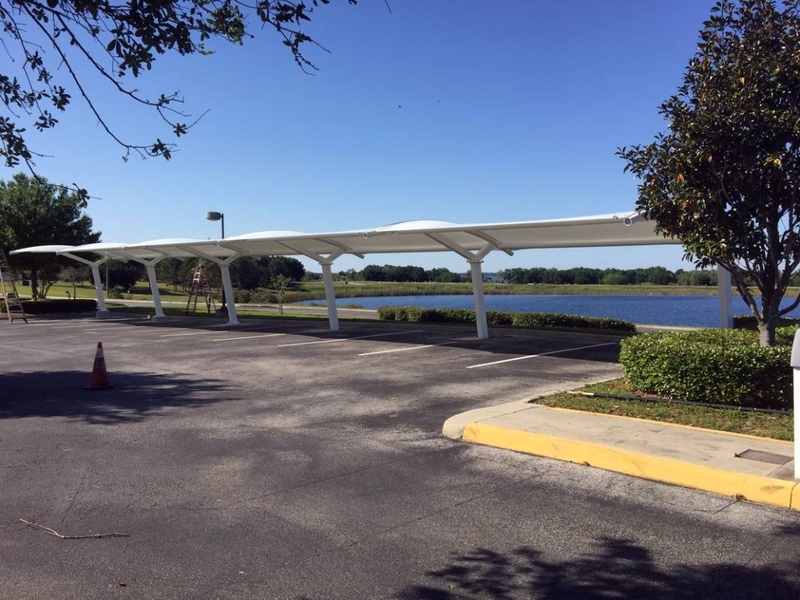 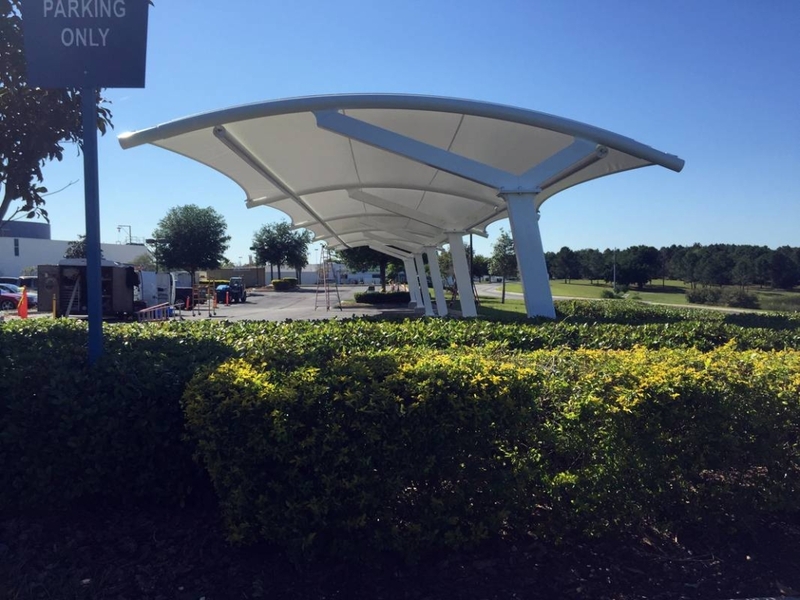 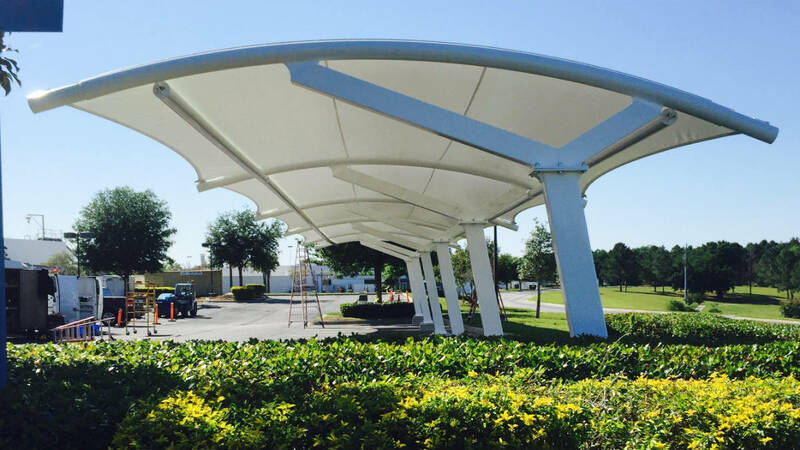 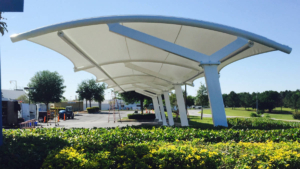 The Florida Shade Company suggested a few options and the Wavecrest cantilevered shade structures were decided upon. 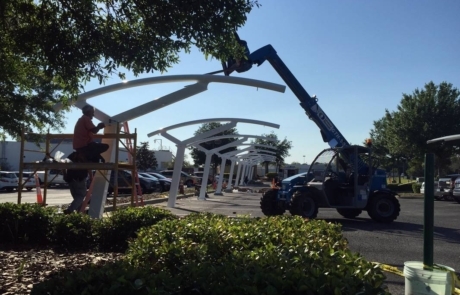 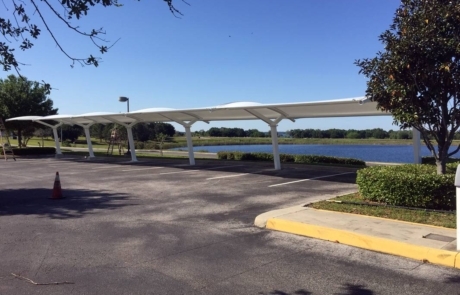 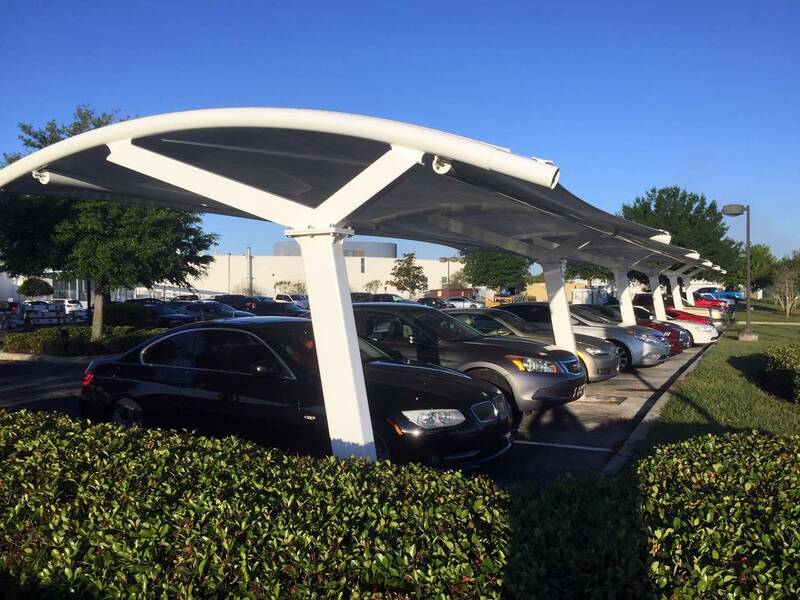 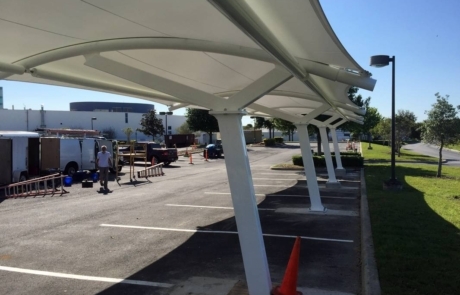 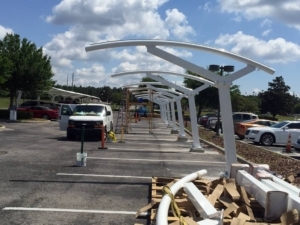 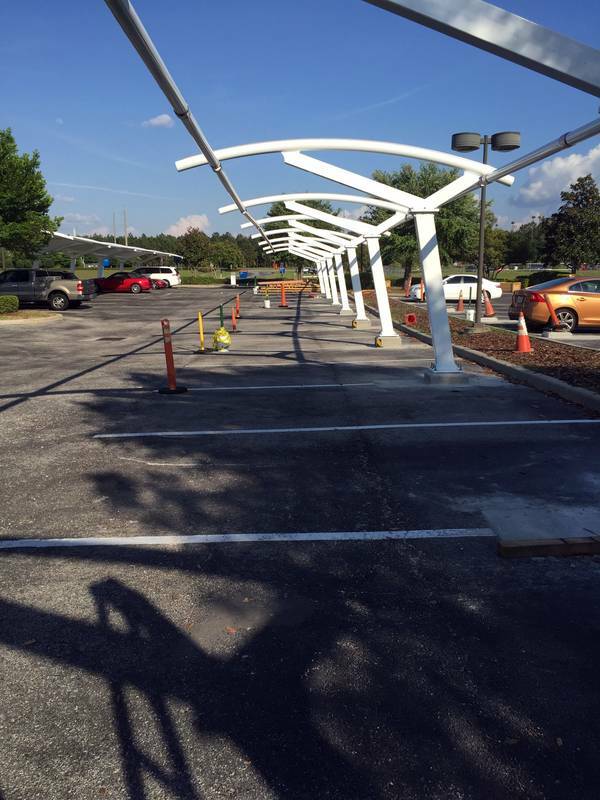 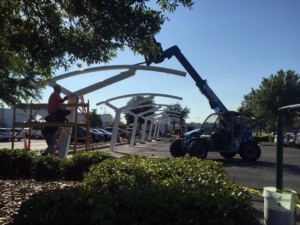 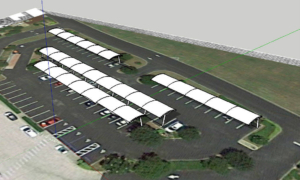 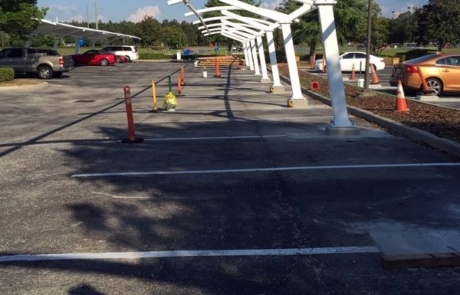 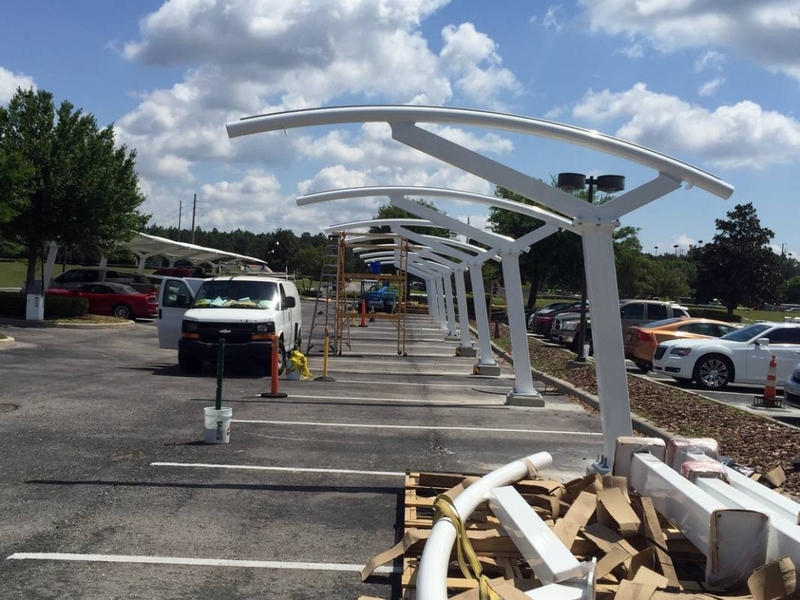 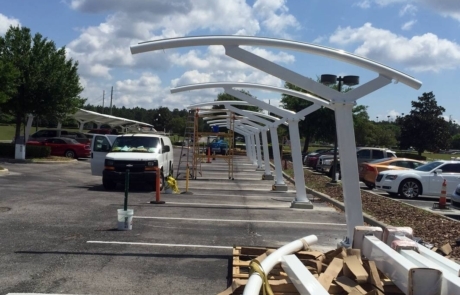 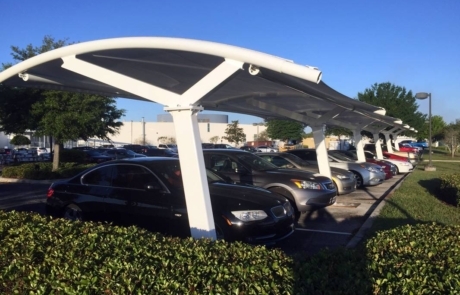 Florida Shade Company had to overcome the elevation variations of the parking area to keep the structures level throughout. 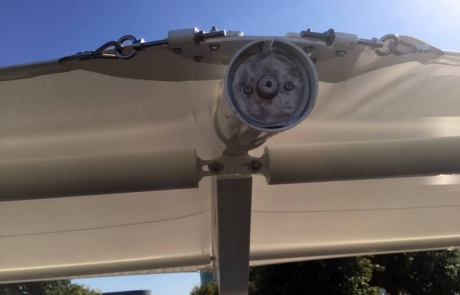 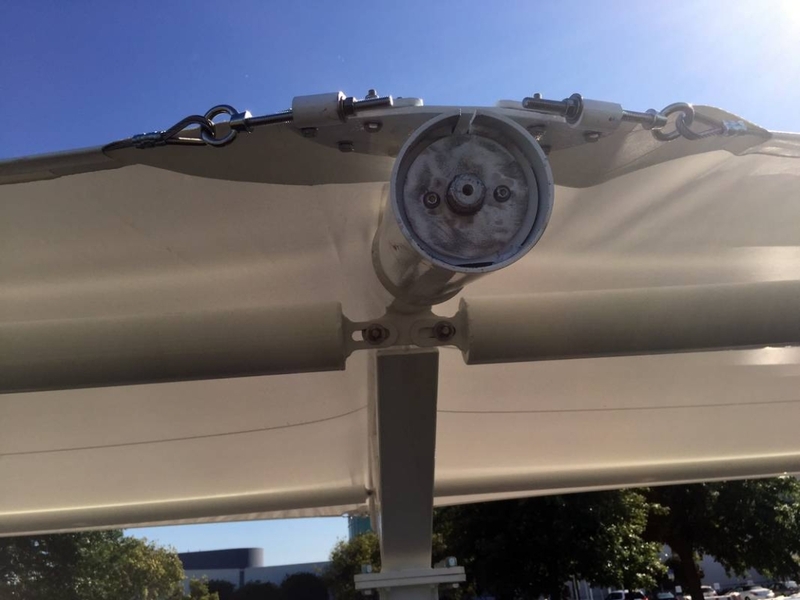 The finished installation proved to be just the solution Florida Hospital was looking for.